"Tempting collection of dark pastels, chocolate browns and deep reds. No matter if you prefer to accentuate your eyes or lips, there will be something just for you. Ultimately rich mattes for the eyes and matte lipsticks that range from neutral to boldest shades, will undoubtedly spice up your entire look and bring out the star in you." 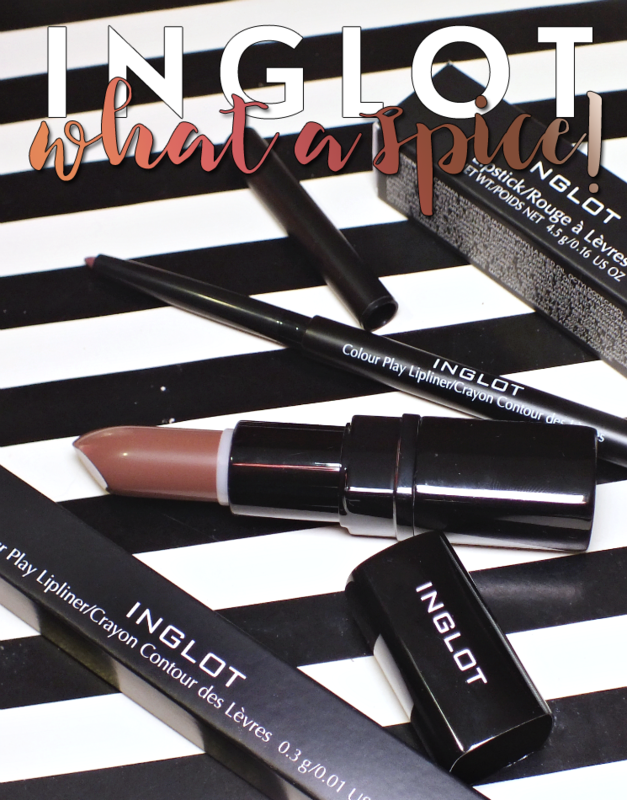 The Inglot What a Spice! Collection features gorgeous fall hues (think berries, warm browns, rust...) and matte textures. Lips get a selection of not-your-average neutrals and browns to suit all skin tones. 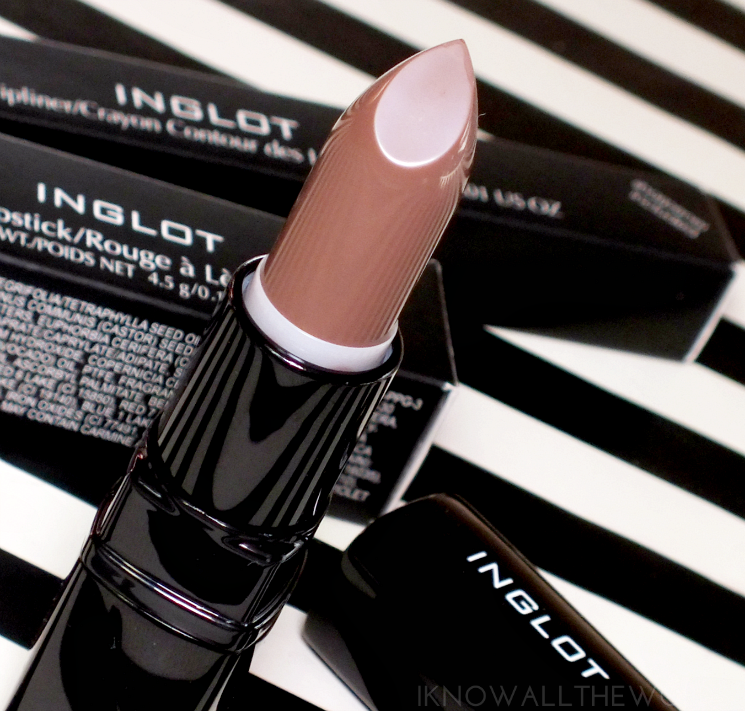 The matte lip isn't going anywhere, and the Lipstick Matte formula from Inglot is a great way to wear the trend without the tell-tale overly dry lip feel. The formula feels quite dry when swatched, but it features vitamin E, macadamia oil, and avocado oil and is very easy on the lips and long lasting. I find I can get 6-7 hours out of the lipstick when not eating. 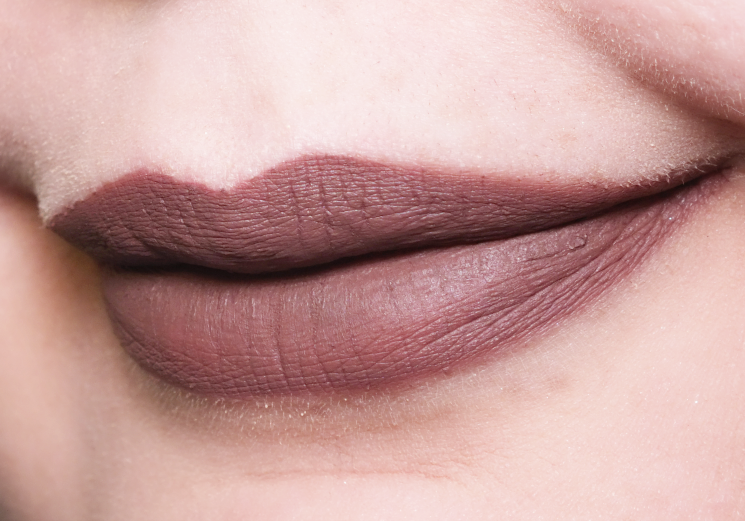 The Lipstick Matte in 441 is an interesting taupe-brown in the bullet, but has a more grey tone once on the lips. 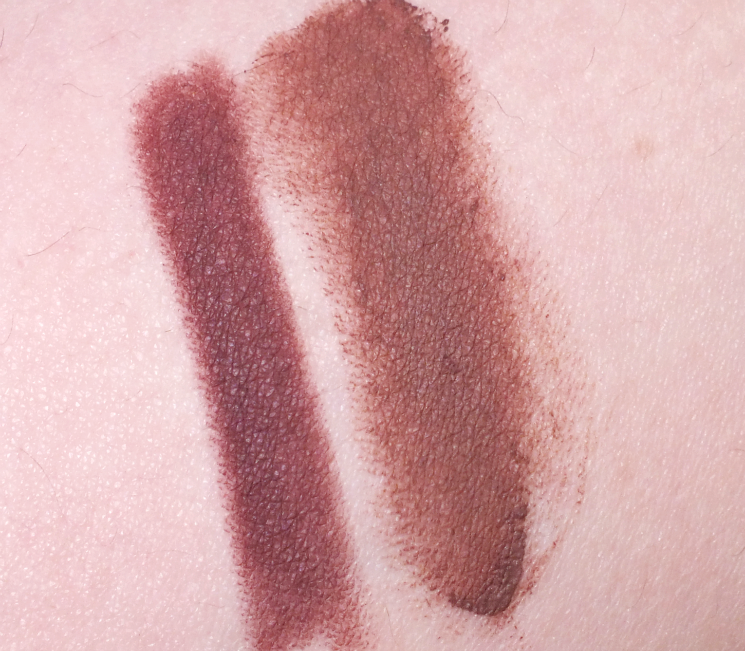 I was sent the Colour Play Lipliner in 320 to pair with it, and while it's not an exact match, it's a gorgeous dirty, plummy brown. When used with 441, it adds a bit more warmth and purple to the overall shade. It's definitely a unique shade, but a combo I can't get enough of. The Inglot bestseller I mentioned is the AMC Pure Pigment in 85. Now, I will say that 85 is an amazingly complex shade, and I was not able to capture the majority of it's awesome-ness in photos. In the pot, it has a deep purple look, with a teal shift. 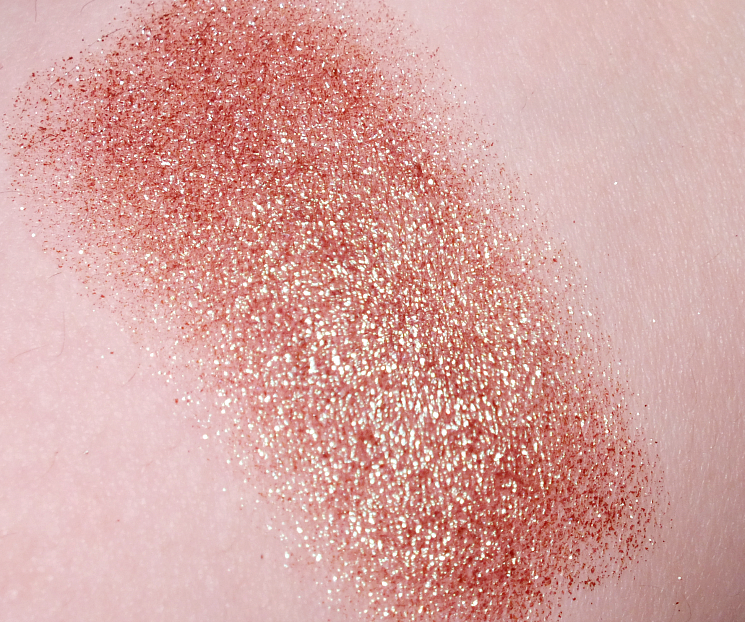 When swatched, it reads as more of a coppery brown with golden shimmer and a cranberry-teal shift/duo chrome action. It's stunning! The AMC (advanced makeup components) pigments offer 90% pure pigment in the form of loose powder that can be used as an ultra-intense shadow, or more subtly depending on application. I am not always a fan of loose shadows, but this formula adheres nicely to skin with minimal fall out when applied dry. Applying with a damp brush makes for pretty much zero fall out (yay!) 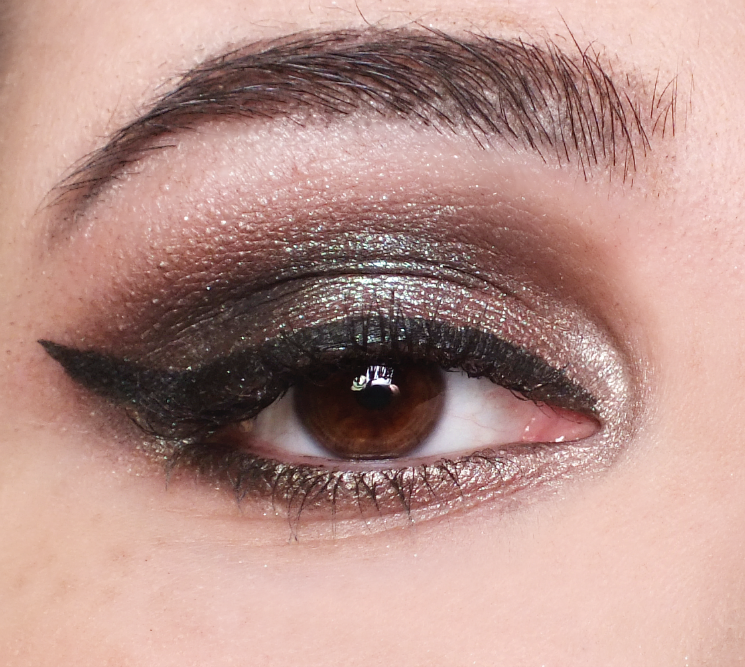 and amplifies the shimmer/glitter look. 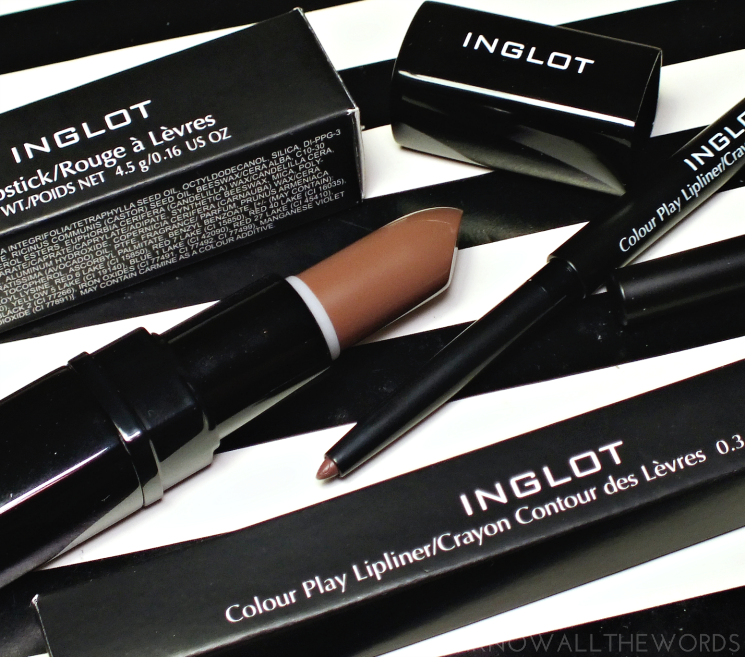 Overall, some excellent Inglot products! I have to admit, I kind of forgot about the brand, as it doesn't seem to get as much love in the blog-o-sphere as it once did. Of course I now feel a need to try a bit of everything. What do you think? 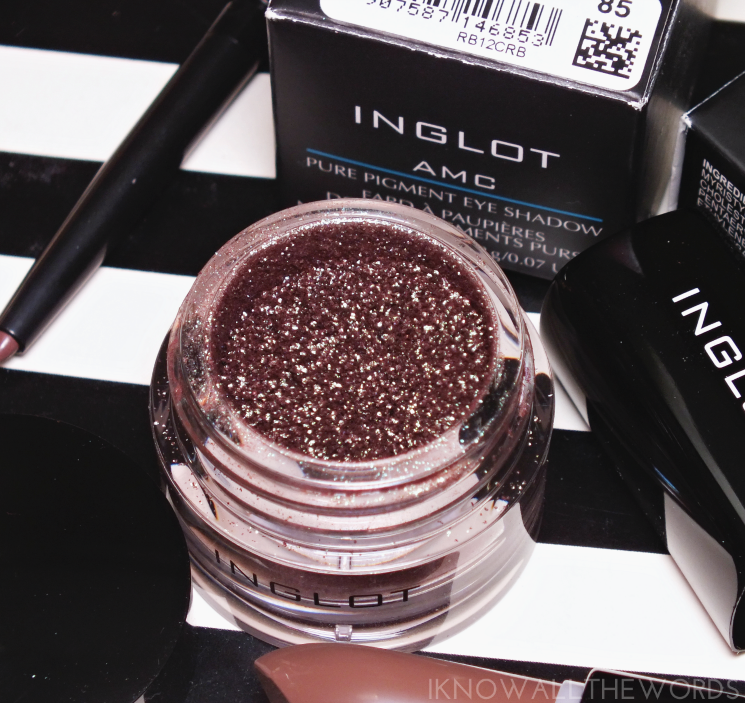 Are you an Inglot fan? Have any favourite products I need to try?